Es geht Schlag auf Schlag. 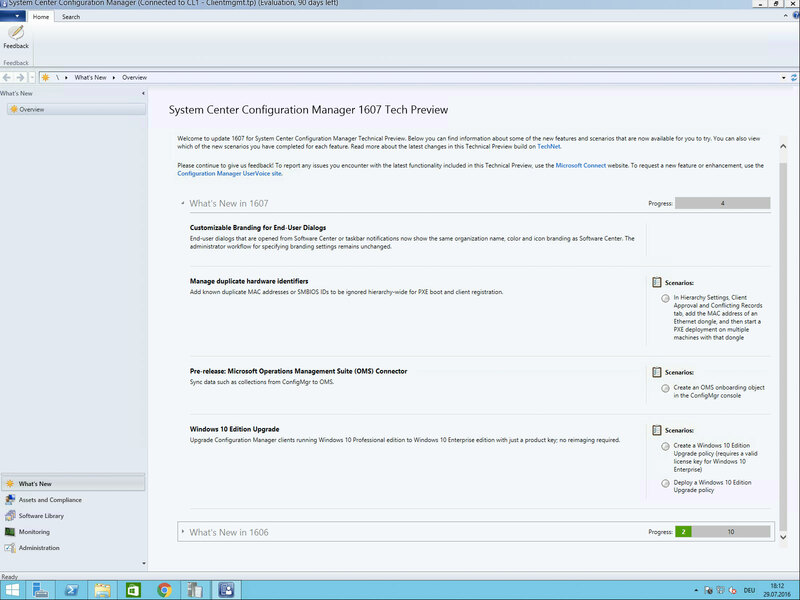 Microsoft hat soeben das Update 1607 für den System Center Configuration Manager Technical Preview veröffentlicht. Das Update ist über die “Updates and Servicing”-Node der ConfigMgr-Console verfügbar. Customizable branding for end-user dialogs: End-user dialogs that are opened from Software Center or taskbar notifications now show the same organization name, color, and icon branding as Software Center. The administrator workflow for specifying branding settings remains unchanged. Manage duplicate hardware identifiers: Add known duplicate MAC addresses or SMBIOS IDs to be ignored hierarchy-wide for PXE boot and client registration. Microsoft Operations Management Suite (OMS) connector: Sync data such as collections from ConfigMgr to OMS. Windows 10 Edition Upgrade: Upgrade PC clients running Windows 10 Professional edition to Windows 10 Enterprise edition with just a product key; no reimaging required. 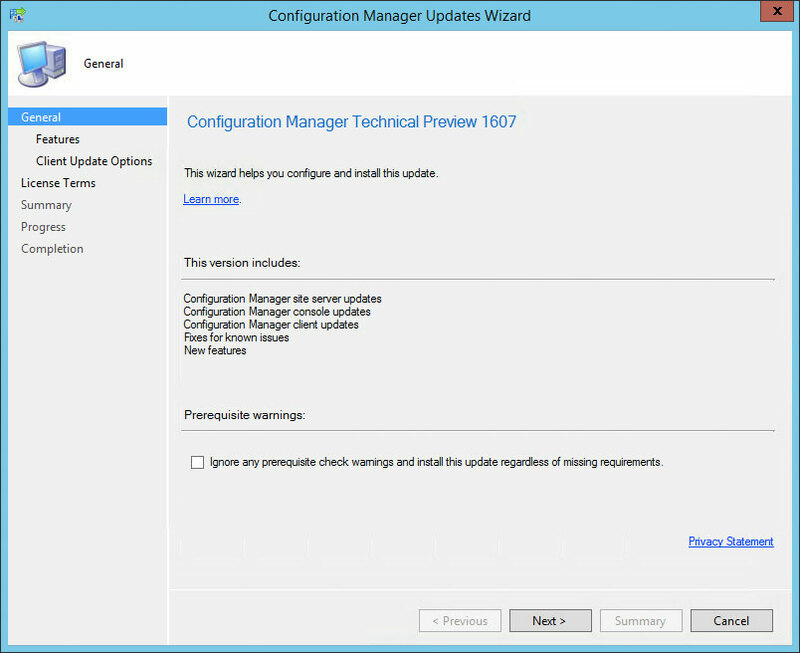 Update 1607 for Configuration Manager Technical Preview – Available Now! Dieser Beitrag wurde am 29. Juli 2016 von André Picker in IT veröffentlicht. Schlagworte: ConfigMgr, SCCM, Technical Preview.